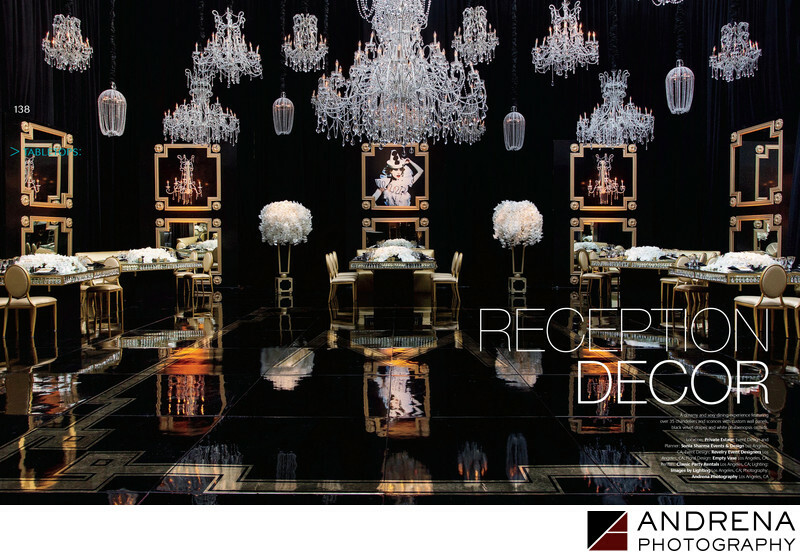 This stunning black ballroom was created by the talented visionaries at Revelry Event Designers and Sonia Sharma Events, and we were all delighted when Grace Ormonde Wedding Style chose to run this image in their Spring/Summer 2016 issue. Florals were provided by The Empty Vase, located in Beverly Hills. This event took place at the infamous Beverly House property.